Indulge yourself in this high quality single ply 1000 thread count Egyptian cotton bed linen. 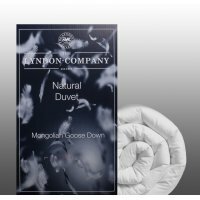 Manufactured from single fibres for a soft and ultra luxurious feel also providing the durability of Egyptian cotton. These soft fine Egyptian Cotton Duvet Covers will add the luxury to any Bedroom. The sateen finish is easy care. Soft to touch and handle, long staple fibres, easy care finish and comfortable and durable. Indulge yourself in this high quality single ply 1000 thread count Egyptian cotton bed linen.Th..
Indulge yourself in this high quality single ply 1000 thread count Egyptian cotton bed linen.Ma..